Technology has advanced throughout the years at an extraordinary pace, a pace that can only be matched by the rate of “the last model’s” obsolescence. How often do we stop to think about the fate of these once-beloved, now defunct relics? A growing trend in the art world is to do just that; gifted artists around the globe have produced some truly amazing works of art by utilizing the very technology that we let fall into disuse every day. 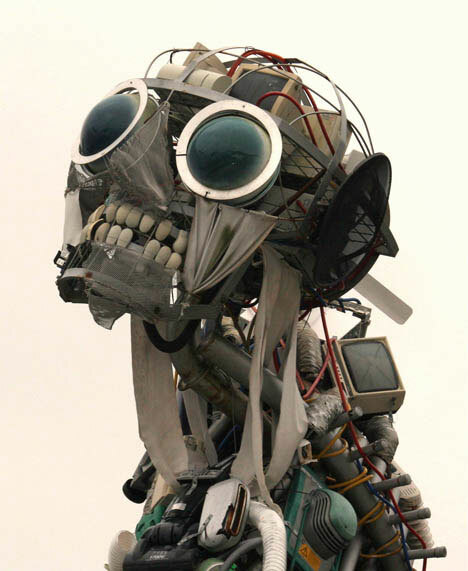 Towering at nearly 23 feet, this three-ton European megalith of technological refuse, the WEEE Man, is literally a monument to the machinery of our recent past. Designed to be almost too human, this marvel stands as a politico-ecological statement against improper disposal of our most ubiquitous everyday appliances. His teeth are computer-mice. His brain-pan is filled with ancient computer hardware, and most striking of all, his eyes, old washing machine doors. 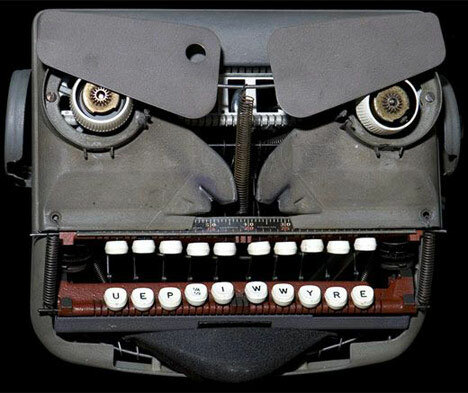 Images of demons may get conjured up when looking at this piece of robot-art by Jeremy Meyer, who builds his sculptures out of nothing but typewriters. While this grinning bot may seem scary, his bedfellows are practically lifelike. You can find more of Jeremy’s stunning work at his gallery in La Jolla, CA, at his equally smooth Web site, or right here at Weburbanist. It’s interesting to note that when building these works, Jeremy uses neither welding nor glue to assist in the process. 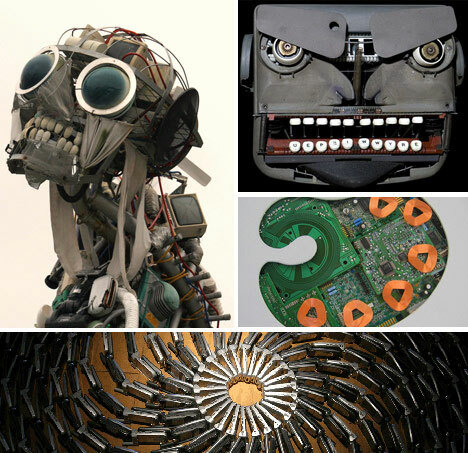 Not all techno-sculpture is based on humans. 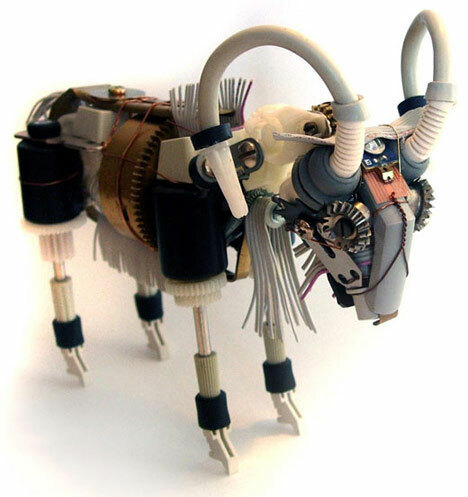 Ann P. Smith dedicates her time to creating robotic animals and insects out of nearly any piece of gadgetry she can put to use. Ann’s creations often feature pose-able joints, and somehow seem to portray a sunny disposition! Her owl may even remind you of a certain favorite stop-motion character from Clash of the Titans. However, Ann doesn’t stop there. 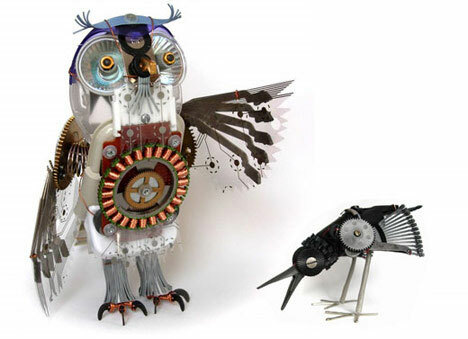 She goes as far as to recreate the object of many a child’s imagination, with extraordinary detail. Ann’s art is not kept behind lock and key from the public. She builds and sells her pieces on a regular basis, and you can find more of her work at her Web site. 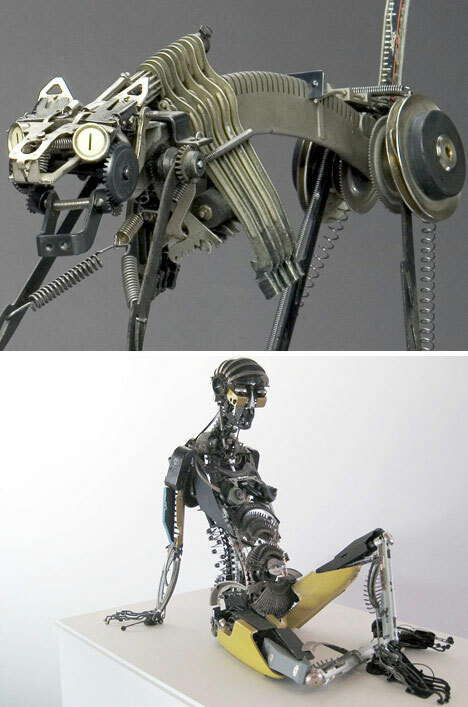 Any discussion of obsolete technology would be incomplete these days without mention of Steampunk art. In and of itself, Steampunk idealism is based upon the concept of resurrecting long since dead technology and ways of seeing technology. There is a deep-rooted fascination with all things of the Steam Era, and these run congruently with a startlingly adaptive fashion-sense. Jewelry such as the necklace pictured above is becoming increasingly common, as the popularity of this beautiful and captivating form of practical art grows. 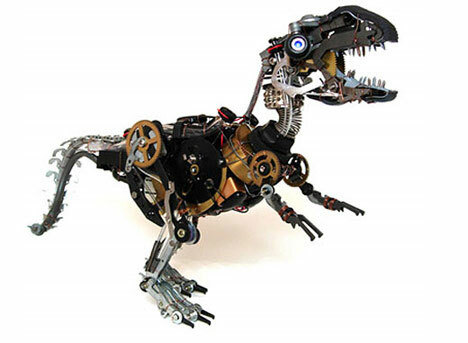 This particular piece was made out of nothing but old watch parts. Artist D. Young creates 21st century folk art in the old fashion, but with a decidedly modern twist. Burned out or faulted electronics, once reliquated to the bin under the workbench, are now becoming tiny robot charms. 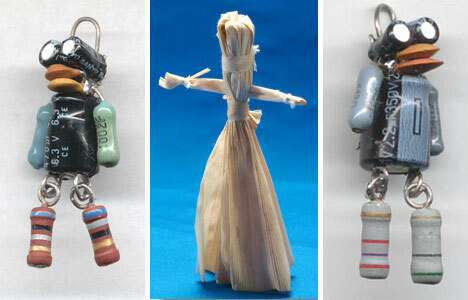 Directly compared to the corn husk dolls of early America; popular among children, these tiny figures are carrying on a legacy spanning not decades but full centuries. These little treasures are sold online at obviousfront’s etsy store. Though the cassette tape died long ago in the hearts and minds of the entire 90’s generation, they remain today as a beacon of nostalgia, and as art. More and more aesthetic applications for these simple pieces of recording media are surfacing as time goes on; first as fashion-art, and more recently, incredibly creative exhibits. An artist going by the moniker iri5 has made waves with her artwork depicting much-loved (and often deceased) celebrities and famous musicians using nothing but the actual tape out of a cassette or film reel. As if this were not enough on its own, her attention to detail is astounding, as is shown above with her instantly recognizable depiction of the legendary Jimi Hendrix. More of her remarkable work can be found in iri5’s Flicker collection. They say a designer has done their job when form meets function. Twenty-nine year old Joao Sabino has surpassed simple design and created art in his Keybags. The first word that may come to mind with this may be “geeky,” but meant in only the most affectionately possible way. Old keyboards rarely get a chance to live on as anything more than garbage in a landfill, and Joao has shown one more legitimately amazing use for something so easily overlooked. Similarly, when a computer is designed to be as pleasing to the eye as to productivity, it’s a shame to let the artistic efforts of those designers to waste. 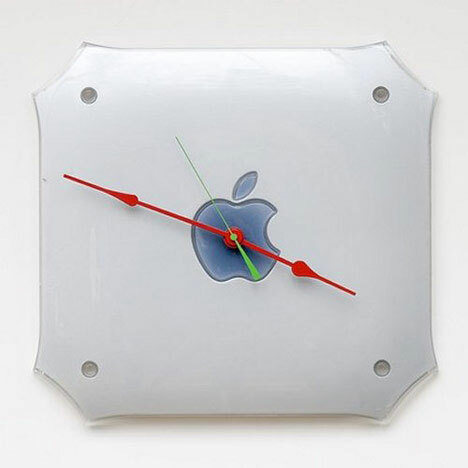 An artist going by the name pixelthis created this functioning clock out of the side of an old Mac G4. As simple as it may be, this stylish clock is art with a purpose. 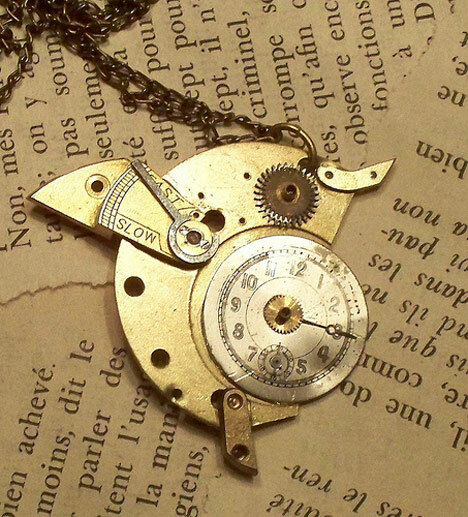 Even old cellphones can be beautifully repurposed. 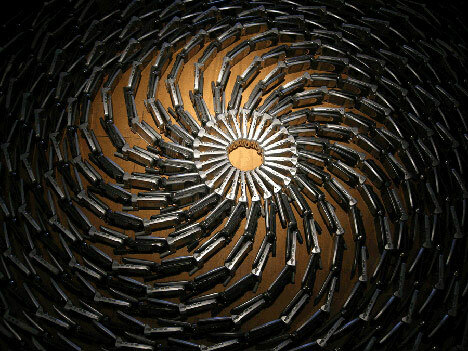 This gorgeous precision display by artist Rob Pettit consists of 5,000 cellphones destined for the landfill. 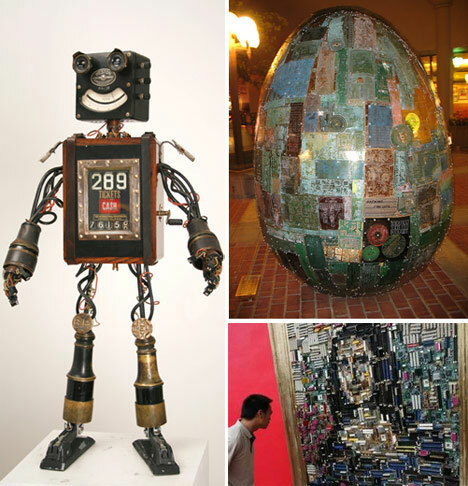 Rob’s early work utilized more traditional mediums; however, in his more recent works he has relied heavily on used and discarded wireless and cellular telephones to make his mark. 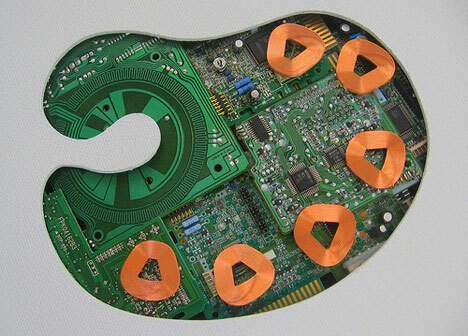 Old circuit-boards have found their way into homes as bookmarks and key-chains for years, but these most basic of uses cannot come close to this. Canadian sculptor Pierre I. Brunet created the above “Geek’s Palette,” proving silicon can be more than a stamped surface. 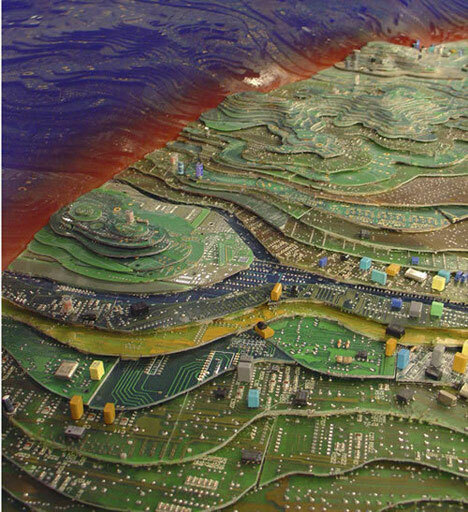 Below, Grace Grothous stunned viewers with her “Uncharted Terrain.” Looking from afar, what appear to be buildings on a detailed topographic map are actually the original circuits for the boards used in this work. The Mona Lisa needs no introduction, save for the fact that she is rendered in circuitboards at this exhibit in Beijing. This is possibly as unique as the original painting; it is a masterpiece in its own right. Benton, the happy robot, can trace his lineage back to an old trolley fare box. What looks to be an enormous Faberge egg is in fact a circuit-board sculpture placed as street-art near Stanford University. This genre of art isn’t going anywhere, and we can expect to see much more in the years to come.